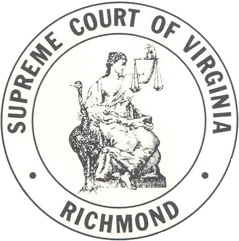 Effective immediately, the Supreme Court of Virginia has amended Rule 5:6A that pertains to the procedures for citing supplemental authorities. Rule 5:6A. Citation of Supplemental Authorities. If pertinent and significant authorities come to a party's attention after the party's petition for appeal, brief in opposition, or brief has been filed, or after oral argument but before decision, a party may promptly advise the Court by letter, with a copy to all other parties, setting forth the citations. The letter shall be filed with the clerk's office and not directly with any Justice. The letter must state the reasons for the supplemental citations, referring either to the page of the brief or to a point argued orally. The body of the letter must not exceed 350 words. Any response must be made promptly and shall not exceed 350 words. The Court, in its discretion, may refuse to consider the supplemental authorities if they unfairly expand the scope of the arguments on brief, raise matters that should have been previously briefed, appear to be untimely, or are otherwise inappropriate to consider. The full order may be found here.